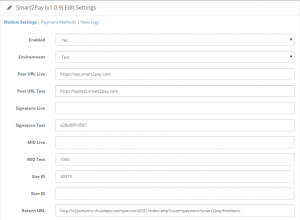 The configurations for the Smart2Pay OpenCart plugin can be found in the administration area of OpenCart under: Extensions -> Payments menu -> Payment Method section -> Smart2Pay Payment Module. 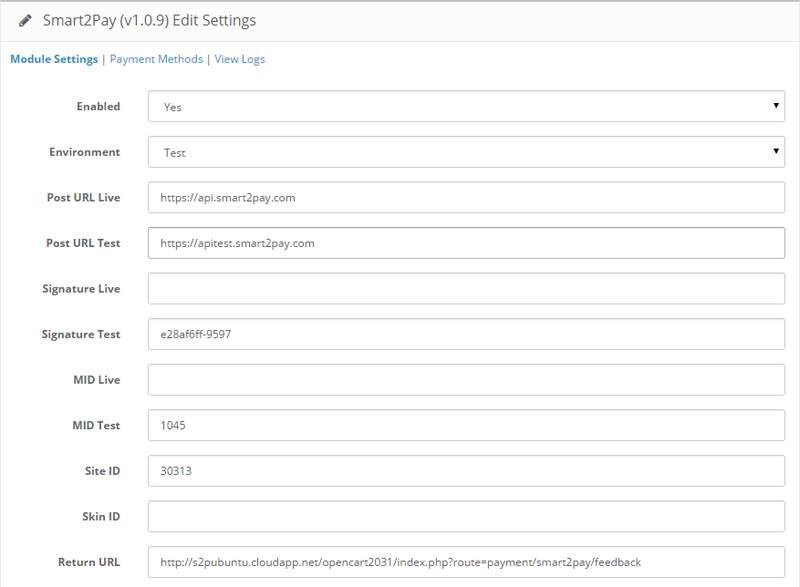 Once you find the Smart2Pay plugin click on the Edit button and go to Module Settings, where you can edit the Smart2Pay plugin, as shown in the below picture. 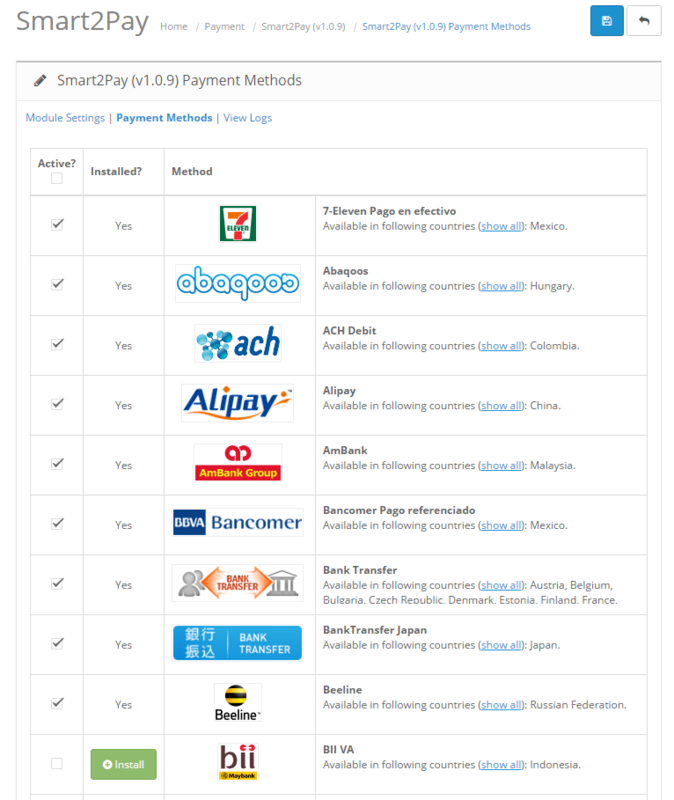 Please make sure that Smart2Pay module is enabled from Extensions -> Payments menu, Payment Method section -> Smart2Pay -> Edit (Enabled set to yes). The Merchant ID for the live environment. Create an account from https://dashboard.smart2pay.com The account will be activated by Smart2Pay Operations Team and you will receive an e-mail containing the MID. – When initiated: the order is confirmed and made visible when the customer initiates a payment via Smart2Pay. 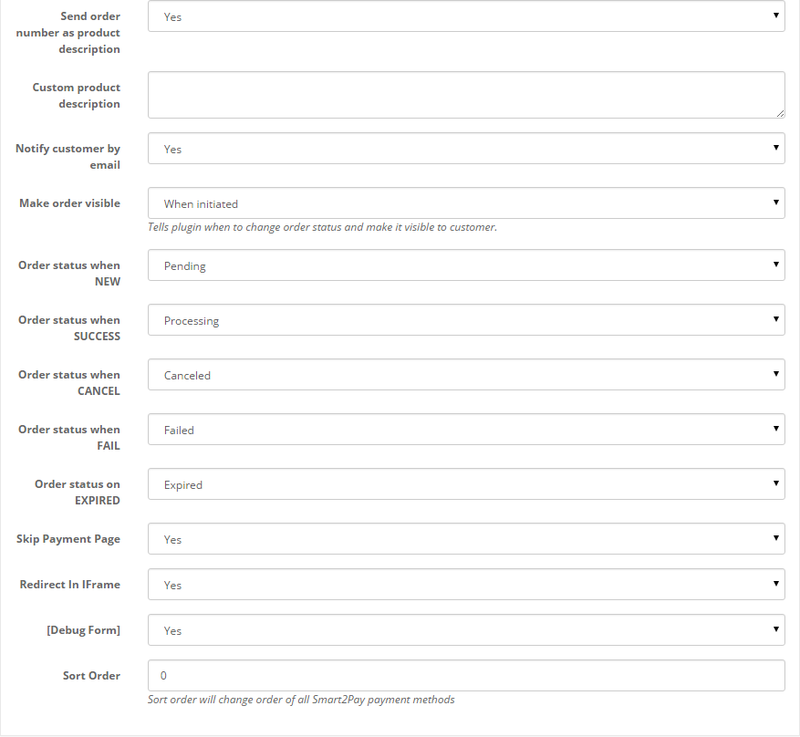 – When redirecting to payment page: the order is confirmed and made visible when the customer returns to the ReturnURL. 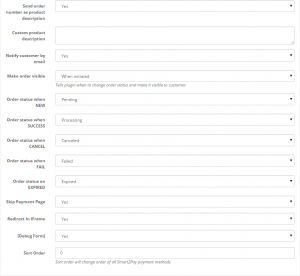 – When receiving payment notification: the order is confirmed and made visible when the transaction has a final status from: success, failed, cancelled, expired. – When transaction is paid: the order is confirmed and made visible only when the customer paid and the transaction is confirmed by the payment method provider. Sort Order Sort order will change order of all Smart2Pay payment methods. After saving the main configuration, please go to Payment Methods to activate the payment methods that you plan to use. 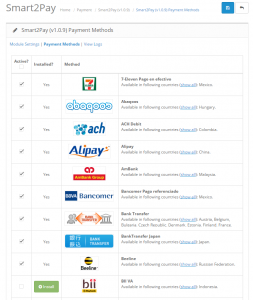 A list of all Smart2Pay payment methods will appear, making it easier for you to see all the payment methods. From here you can install and activate the payment method that you wish.